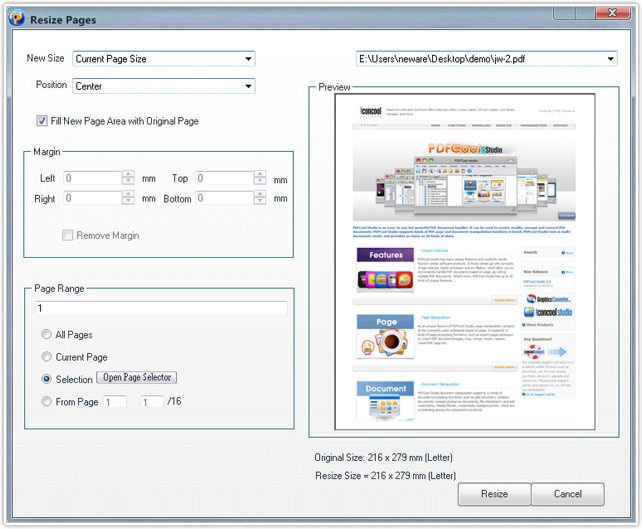 The Resize Pages function of PDFCool Studio allows the user to resize the page size of the selected PDF document as needed. 7. Click on the Resize button.